Wet Republic at the MGM Grand in Las Vegas has an epic lineup for Labor Day Weekend 2012! 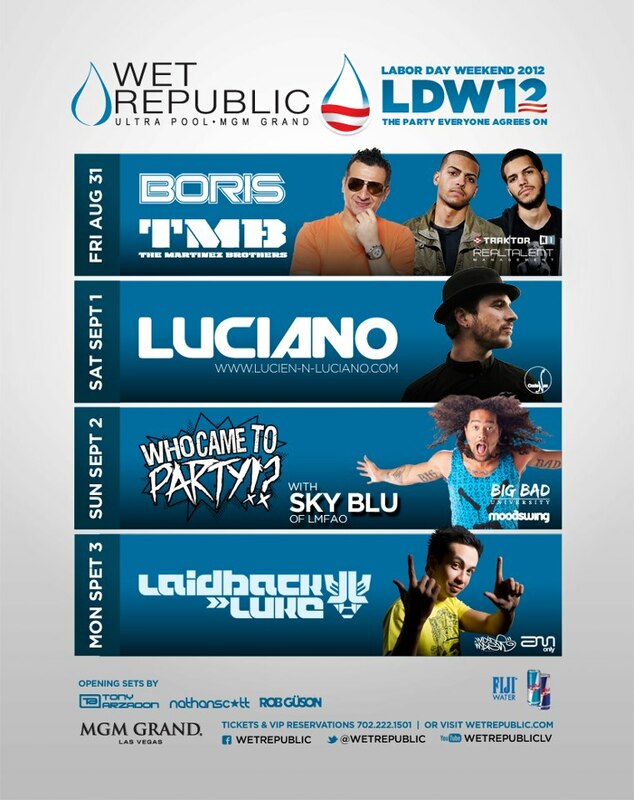 Get your tickets here on MyBarHeaven and make sure you get access to the best parties for LDW 2012! Get Wet Republic Tickets here.